One of the biggest ways in which I have been able to create a name for myself as an expert in the field of strength and conditioning is how I approach the nutrition plans I offer my athletes. It’s very, very common for baseball athletes to be able to both lose body fat and build muscle at the same time when their nutrition is right. 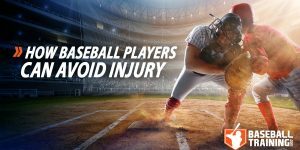 Fact is, due to the busy demand of the high-frequency in-season that baseball players are subjected to they typically completely drop the ball on their nutrition. But in any case, you’re still severely limiting what progress you could otherwise be making right now. Now it’s not all the baseball players fault, the nutrition industry is part to blame as well. There is so much conflicting information out there, it is very easy to become overwhelmed. Before you attempt to dive back into the wild jungle that is the sports nutrition department in a bookstore, I would like to give you a major head start by offering you these six tips that you can use immediately to start dropping more body fat. These tips are based on my work with those I consider experts in the field and on my practical work with the hundreds of athletes I have helped coach to high levels. From a hands-on coaching perspective I have found that adherence to a dietary program increases dramatically when one gets their body fat tested once per week. You should always get tested on the same day and time each week to ensure the highest accuracy of the test. I personally always have my athletes test on Monday because it helps them self-correct for bad choices on the weekend knowing they will see me Monday morning. If you want to lose fat or gain muscle at any appreciable rate, you’re going to have to stay hydrated. Muscle is literally 75% water, and yet hydration is so often underlooked when it comes to baseball performance. Even slight states of dehydration have been shown in the literature to lead to transient increases in the stress hormone cortisol which has negative repercussions ranging from increased oxidative stress to disrupted sleeping patterns. It’s wise to get in a minimum of 0.5 ounces of water per pound of body weight per day, and this doesn’t include the additional fluids you would be taking in during a training session. Many times I take on new athletes and during the consultation I find out that they are having multiple meal replacement shakes per day because they think that it’s better than food. It just has better marketing than food. The first thing I have them do is stop drinking their meals and start eating them. You have to eat solid food to be solid. I typically only recommend liquid nutrition if there is an impossible scheduling issue or if one of my athletes is on a long flight and needs something more nutritious than the cardboard they feed you on planes. Your protein target per day should be between 0.8-1.0 grams of protein per pound of bodyweight per day. Listen here, how much protein you consume in the entire day is light years more important than when you consume it. Hit that protein target every day, and try to make it mostly come from lean meats, eggs, egg whites, and dairy products as those all have the highest protein quality scores within the literature. Protein builds muscle and allows the body to more easily drop body fat, you should strive to include it in every meal/snack you have throughout the day. Having an adequate Omega-3 status is one of the things that the supplement world can really help you out with. You don’t need to supplement with fish oil if you eat enough salmon, the problem is most people just don’t eat 3-4 servings of wild salmon per week — so supplementing in this case is both cheaper and easier. A mountain of scientific literature has already demonstrated a major positive effect on your body composition when you improve your Omega-3 to Omega-6 ratio within your body. The reason why is because fish oils increase the utilization of fat stores within your body and decrease fat storage. …and this isn’t even everything they do. Trust me, I know it sounds like I make a profit by saying this stuff, but I have no affiliation to anybody. Get on some fish oils and consume 5-10g per day. Of course, the process of fat loss can be much more complicated than this, and you can view my more comprehensive guide here. 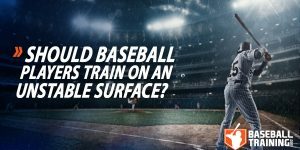 But for many baseball athletes, these tips alone will give them a huge head start in the complicated world of nutrition. 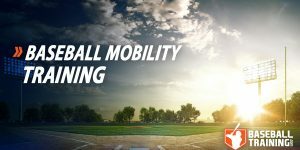 Are you looking for a completely “done for you” baseball specific program to improve your performance? 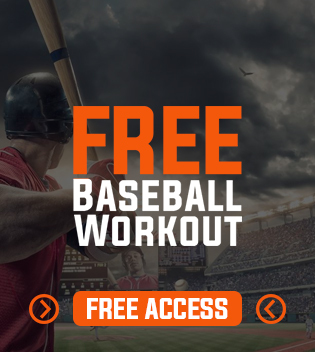 Then I have what you’re missing, check out the selection of high-performance baseball training programs and start dominating your league today!